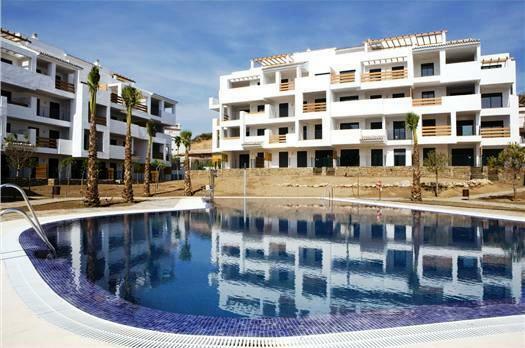 Doncella Beach is a brand new elite complex of luxury beachside apartments and penthouses overlooking the beach in Estepona on Spain’s Costa del Sol. Having just been granted its first occupation licence, the apartments are now ready for sale. Located roughly 15 minutes walk west of the centre of Estepona on the quiet stretch of beachside road past the town’s marina, the complex is named after ‘Punta Doncella,’ the spit of sand that juts out into the sea on the beach at the complex’s most westerly point. The residential area known as El Saladillo on Spain’s Costa del Sol is located roughly halfway between the coastal towns of San Pedro Alcantara and Estepona, very close to the Los Flamingos Golf Resort. Set on the beach side of the main N-340 coast road, El Saladillo is a consolidated area of luxurious villas just a stone’s throw from the beach, 5 minutes by car to Estepona and 10 minutes to Marbella’s famous Puerto Banús.